There’s absolutely no way we can condone this. Tim Burton’s film version of Alice In Wonderland is absolutely atrocious and the fact that it made over one billion dollars at the international box office is something that may never sit right with us. But because dollar dollar bill y’all, Alice Through The Looking Glass is hurtling right towards us, whether we like it or not. We’re being spared Burton’s…talent…this time around, with James Bobin taking over directorial duties? Who’s he?, we hear you ask. Yes, well, we had to looking him up but apparently Bobin directed the two recent Muppet movies. They turned out ok, so perhaps Bobin can reverse everything Burton…achieved…with Alice In Wonderland. 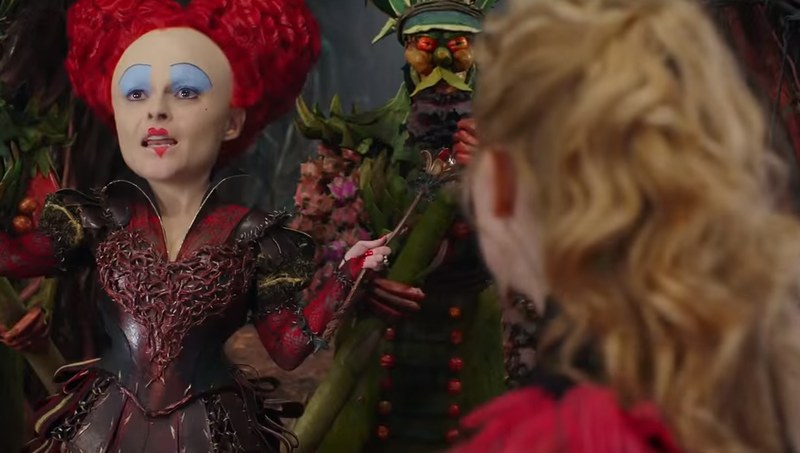 Alice Through The Looking Glass stars Mia Wasikowska, Johnny Depp, Helena Bonham Carter, Anne Hathaway, Sacha Baron Cohen, Rhys Ifans and Matt Lucas and is set for release in May, 2016.